It’s Still With The Editor, But At Least It Has A Cover! 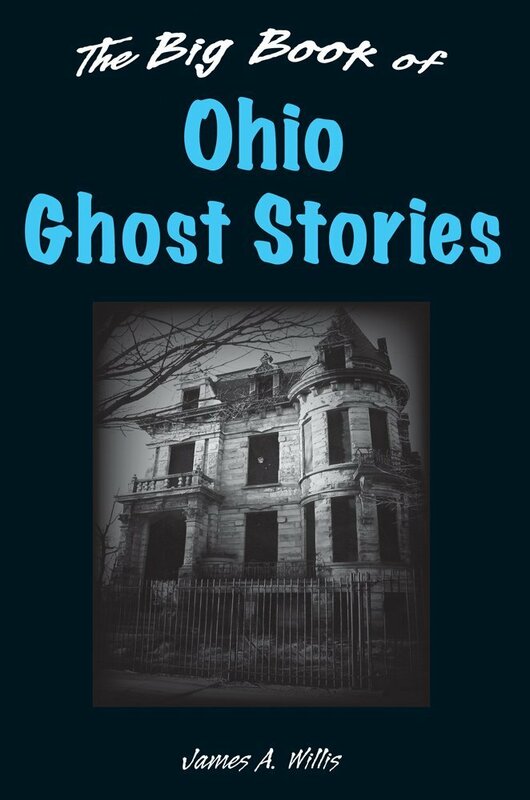 Feast your eyes upon the cover for my latest labor of love, The Big Book of Ohio Ghost Stories, from Stackpole Books. It’s currently going through the initial editing phase and is scheduled for a September 1st, 2013 release. It will be available at all Ohio bookstores and on all the usual online book sites. In fact, it’s currently available for pre-sale (at a substantial discount) on Amazon. If you’re interested, click here to be taken directly to the Amazon pre-order page. After September 1st, copies will also be available for purchase at all my presentations and appearances. I’ll even deface the book by scrawling my name across it at no additional cost to you! Keep it here for all the exciting updates as we get closer to the September 1st release date. I’m sure there will be a couple of strange and spooky surprises in store for you! The title of this post contains the three words I never wanted to see together. Truth be told, right after I typed that title, I had to stop and pause for a moment, letting the words sink in: The final Eggshelland. Like it or not, in just a few short weeks, the truly magical place that has amazed and enthralled children of all ages will be no more. 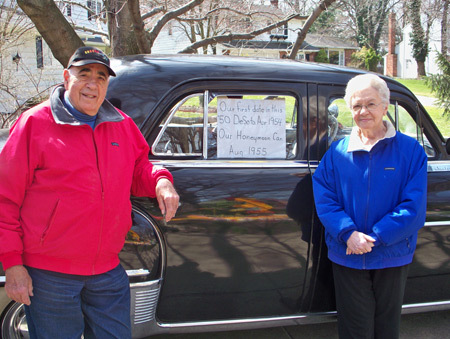 To the uninitiated, Eggshelland is the brainchild of Ron and Betty Manolio who, way back in 1957, decided to decorate the front of their Lyndhurst, Ohio home with hand-colored eggs to celebrate Easter. That year, using designs drawn up by Betty as a guide, Ron painted several hundred real eggs, using them to bring three-dimensional versions of Betty’s drawings to life in their front yard. Friends and neighbors were amazed. And while several hundred eggs is certainly nothing to sneeze at, Ron and Betty were only getting started. My Calendar’s Starting To Fill Up! It’s only March, but I am already well on my way in terms of booking appearances, presentations, and even a book signing or two. 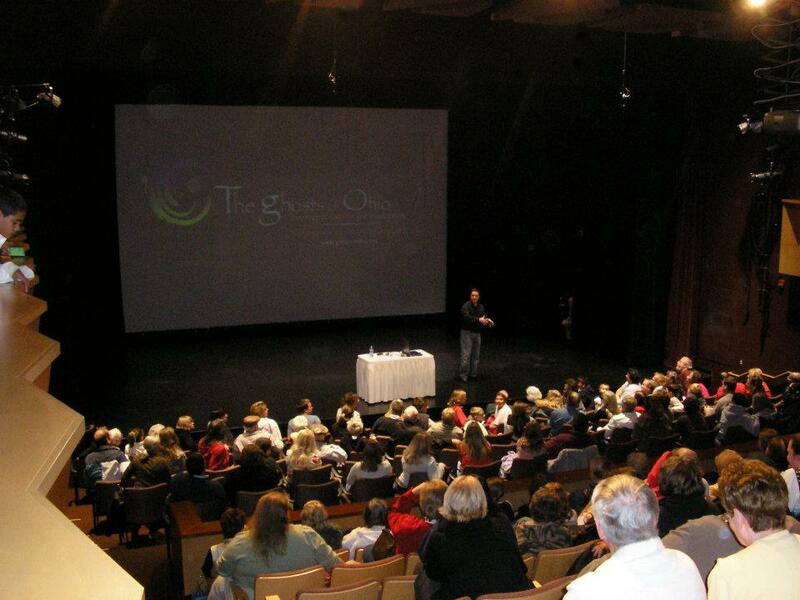 As always, I’m going to try to make as many of my presentations free and open to the general public. Keep an eye on the 2013 Appearances page of this site so you don’t miss out on your chance to see me. Even if you’ve seen one of my presentations before, they are updated every year to ensure everyone gets to hear the spookiest stories, hear the creepiest EVPs, and see some of the weirdest videos. Who knows? If you’re really lucky, you might even get to see the infamous video of me riding a homemade roller coaster! And if you’re someone who is looking to book me for 2013, please drop me a line ASAP and let me know, especially if you’re looking for something in October. That month’s already starting to get a wee bit crowded, but I’ll see what I can do! I admit it; I have a problem when it comes to books on the paranormal. And that problem is that I must own them all! I’m not sure when my addiction began, but the first paranormal book I remember asking for was a 1972 Scholastic Books edition titled simply, Haunted Houses. I vividly recall begging my mom to buy it for me at one of those Book Fairs at my elementary school in upstate New York. I still have that book. Although since then, it has been joined by hundreds and hundreds of books on the paranormal (981, to be exact) that, as much as I try to keep them contained, often spill out across my desk, ending up in piles on the floor. 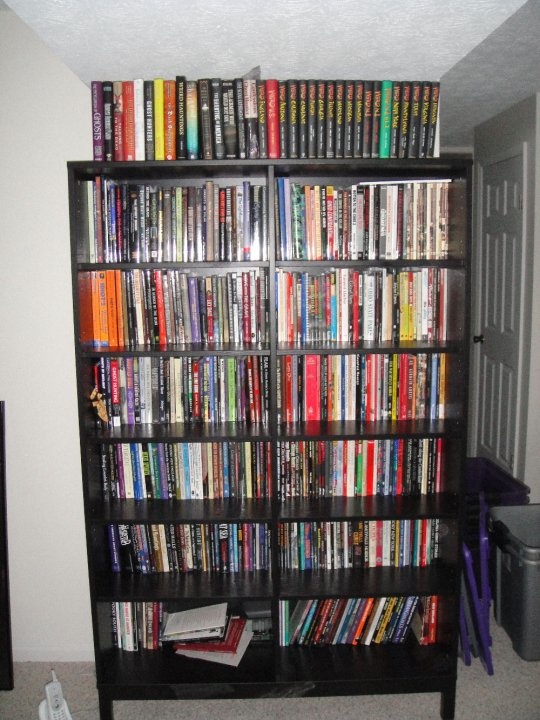 People often remark that you can’t stand anywhere in my house without there being a book within reach. Believe it or not, it’s true. But that’s because I love my paranormal books so much that I always want them close to me.